The Jawaharlal Nehru University has rusticated Umar Khalid for one semester on account of an event organised on February 9 where anti-national slogans were allegedly raised. The University hasalso imposed a fine of Rs 20,000 on him and Rs. 10,000 on its students' union leader Kanhaiya Kumar. 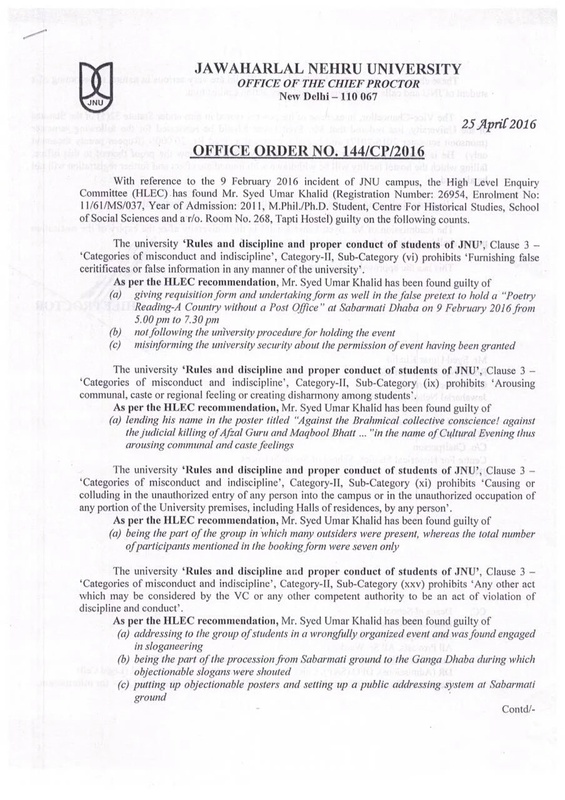 High level enquiry committee (HLEC) had found Umar Khalid guilty of not following university procedure for holding the event on 9th February and misinforming the university security about the permission of event having been granted. The committee also holds him guilty of lending his name in poster titled “judicial killing of Afzal Guru and Maqbool Bhatt”. Taking part in processions in which objectionable slogans were raised, addressing students in a wrongfully organised event, putting up objectionable posters, etc. were also listed as charges against Umar Khalid, of which he is guilty of. The order reads “These charges are very serious in nature, unbecoming of a student of JNU and calls for stringent disciplinary action against him”. 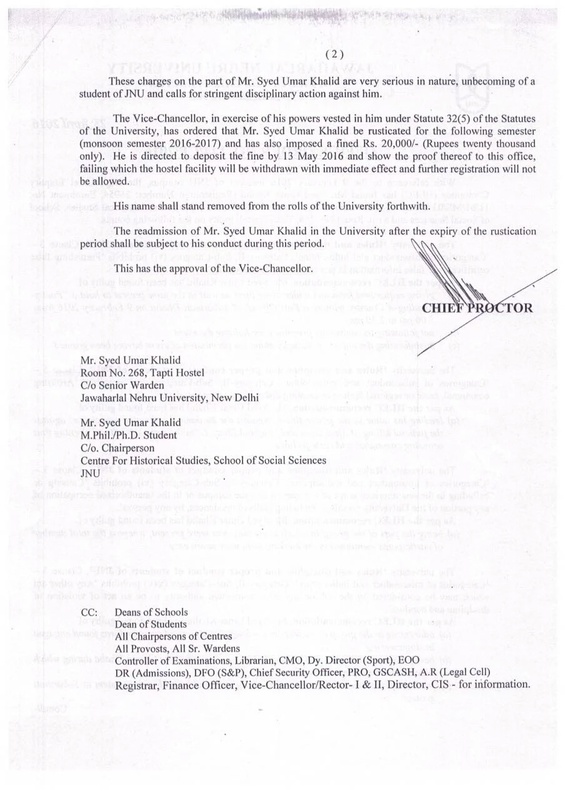 The order also states that the readmission of Umar Khalid will be subject to his conduct during this period. 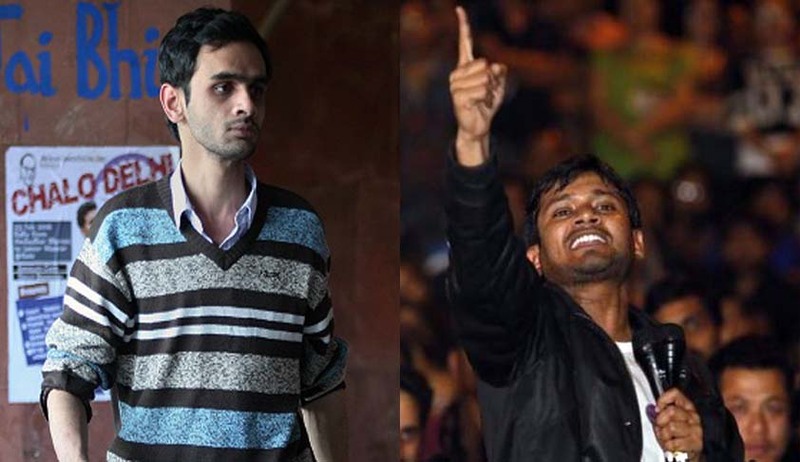 Jawaharlal Nehru University students Umar Khalid and Anirban Bhattacharya, who were booked and arrested under sedition charges, were granted interim bail for Six months by Delhi Additional Sessions Judge.Another accused in the case, the Students Union leader Kanhaiya Kumar was granted bail by Delhi High Court by its order dated 2nd March 2016.